Those annoying fake extra panels are still there, but the double bubble roof appears to be the final design. 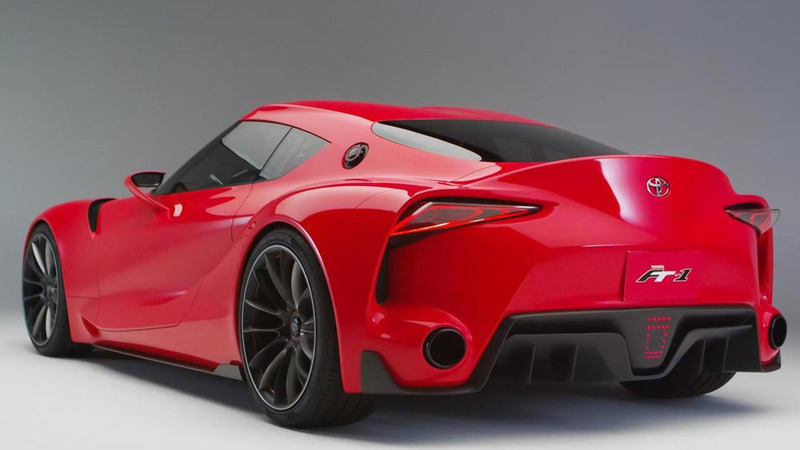 Toyota has been teasing us with its resurrected Supra for more than three years considering the FT-1 concept took the crowd at NAIAS in Detroit by storm back in January 2014. As most of you probably know by now, the two-seater coupe is going to have a roadster counterpart wearing the BMW badge and act as a successor of the hardtop Z4. The two models are part of an ongoing collaboration between the two automakers and as such will share most of the bits and pieces. 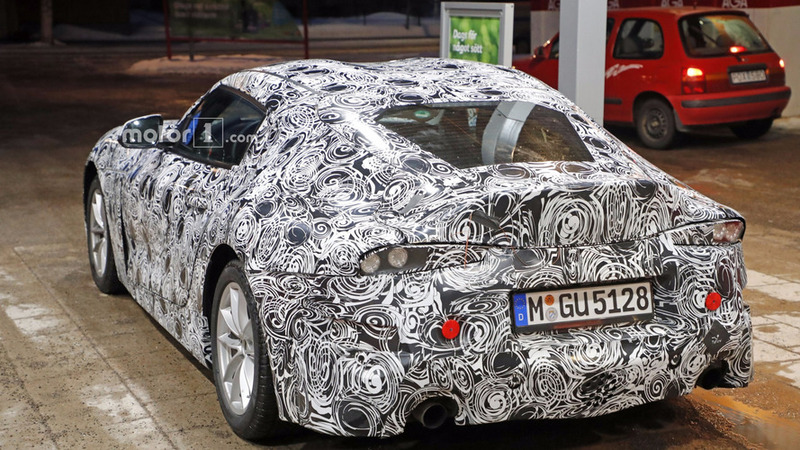 In the latest batch of spy images, the Toyota Supra (name not confirmed) is seen at a gas station in the BMW Z5’s home turf, Germany. It may seem to you a little bit bloated, but that’s just because the camouflaged prototype had extra panels affixed to the real body with tiny rivets. The double bubble roof inspired by the aforementioned FT-1 doesn’t seem to have that type of disguise, so there are reasons enough to believe we are looking at the final design of the fixed metal roof. 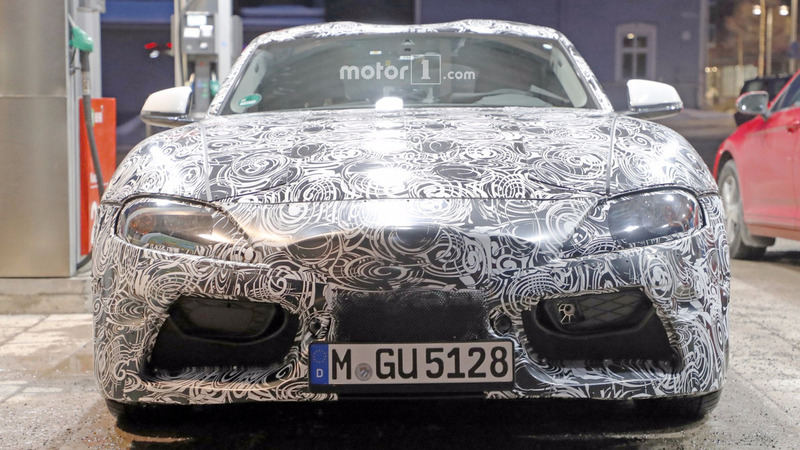 We can’t say the same thing about the Supra’s taillights, as even though the shape of the cluster is likely production-ready, the lights themselves are provisional. It’s the same story at the front where although the form of the headlights is final, the inner components will change in time for the road-going car’s debut. 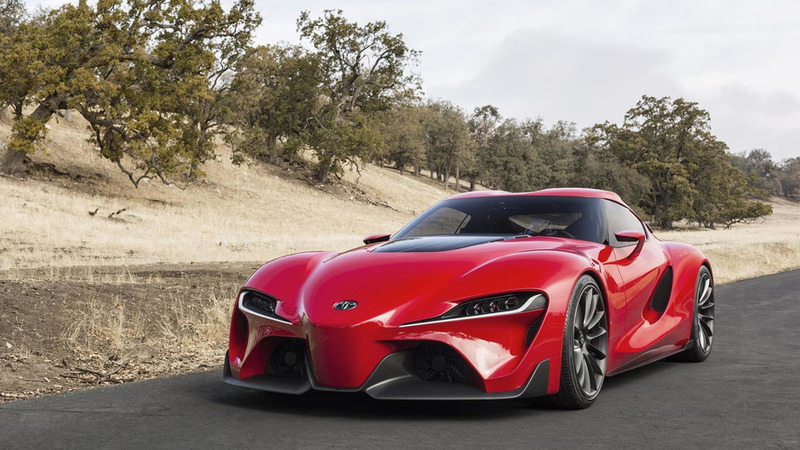 Rumor has it Toyota will preview the Supra reboot one last time in October at the Tokyo Motor Show. If the report will pan out, it means we will have to wait for at least about a year to see the high-performance coupe in all of its production glory. 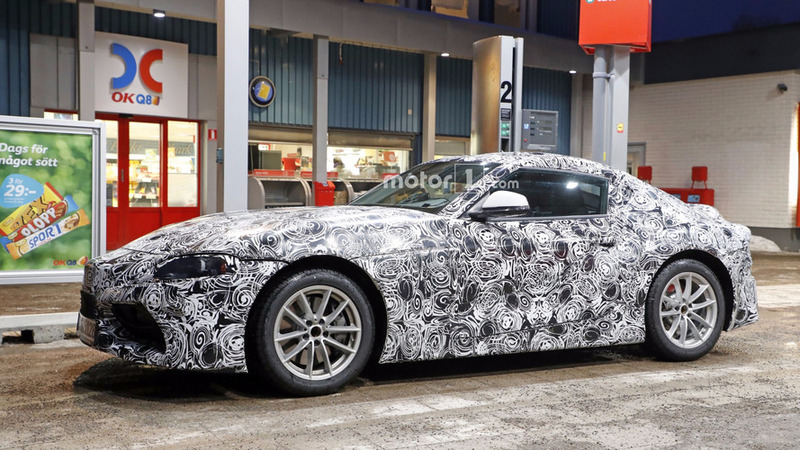 There’s no word about the BMW Z5’s premiere, although some are saying it will occur before the end of 2017. 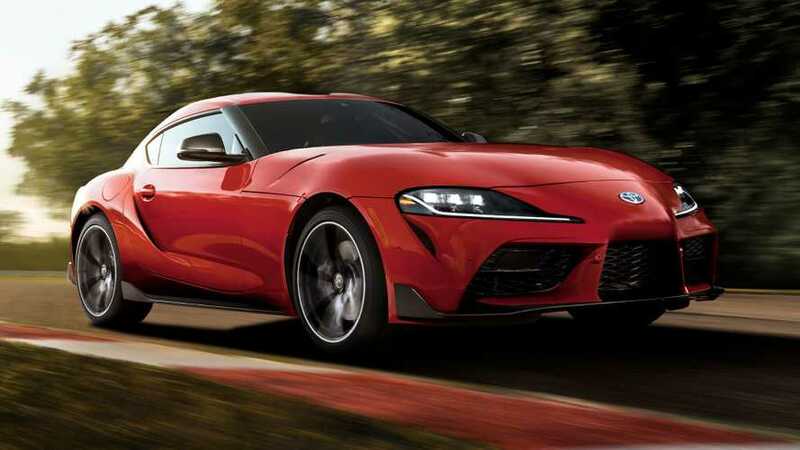 When it will arrive, the fifth-generation Supra will join the GT86 in Toyota’s sports car lineup, which will supposedly grow to include a third member taking into account recent gossip indicates the MR2 is also coming back.